Top access lighting refers to fixtures that are accessed for servicing and repairs from a plenum space above the light fixtures, rather than below. 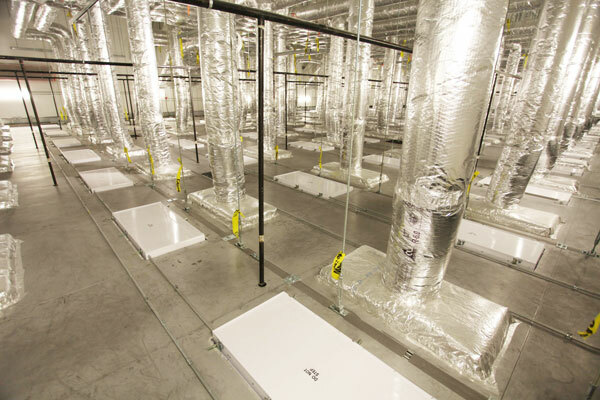 Common cleanroom design includes larger plenum spaces to account for maintenance from above. Top access moves all servicing to the walkable ceiling above the clean space. Who Needs Top Access Lighting? 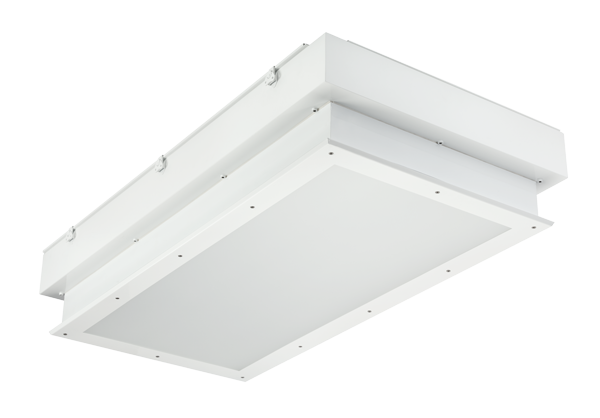 Top access lighting is used in cleanrooms that have restrictions to access from below for sanitation or functional reasons. For instance, pharmaceutical and food processing facilities are often a 24/7 operation, and servicing these fixtures must not interfere with contamination protections. What are the Fixture Requirements for Top Access Lighting? The use of the plenum space as a walkable ceiling creates new challenges, and so the Occupational Safety and Health Administration (OSHA) has put in place requirements for accidental fall hazards from the ceiling. One solution is to install welded steel railing around the light fixture as a safeguard against fixtures that may not withstand unintended foot traffic. This could add to cost and time to the installation. However, there are fixtures that can stand up to this unexpected weight, like Kenall’s SimpleSeal™ Top Access series. 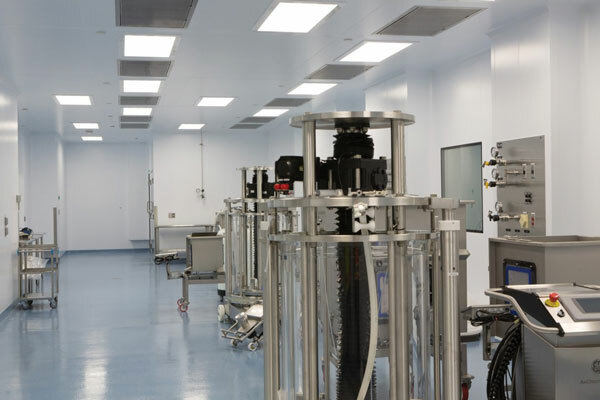 An important feature for all cleanroom and containment lighting is the need to be sealed, to prevent dust and particles to enter the cleanroom from above, even when the luminaire is being serviced. This also applies to applications where top access lighting is necessary.